The HCG diet – is it right for you? The HCG diet is quite the rage right now. HCG stands for “Human chorionic gonadotrophin” which is appropriately medical-sounding and very scientific on its face. It seems that every day another article appears on the HCG diet. For anyone who has been off planet for a bit, the HCG diet consists of precious drops of liquid that purport to melt away fat. Some of the more legitimate purveyors include meal plans, low-calorie recipes and exercise suggestions. But every single web site selling the diet leads with a huge picture of the blessed drops. Rather than trading the family cow for some magic beans, we are prodded to trade between $100 and $200 for a month or two of magic drops. If only “spill insurance” were an option. There is no single diet that will work for everyone. And certainly, the HCG diet can be a part of a successful diet. But to think that a few drops of fluid each day will make dieting pleasant and easy is naïve at best. There are much more important factors, such as having a diet buddy for support, a doctor’s checkup before the start, realistic expectations about rate of weight loss and a plan for ongoing maintenance once a target weight is achieved. So, if you are ready to lose some weight there are some important factors to consider (diet buddy, medical clearance, slow and steady approach, etc.) but a lot of money can be saved by using the new “HCG-2” diet: use pure, clean water drops used as a food additive and use the money saved to buy a membership in a local gym. Your diet and your wallet will benefit! 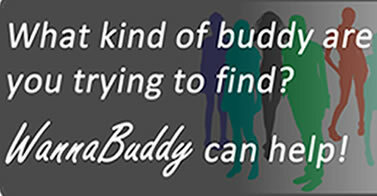 By the way, if you don’t have a diet buddy in mind, check out WannaBuddy.com to find a new, local diet buddy. You’ll be glad you did! Numerous health studies have shown that walking is an outstanding form of exercise, with benefits for the cardiovascular system, muscle tone, resistance to type 2 diabetes, and overall well-being. Walking just 30 minutes a day, 3-4 days each week, can show dramatic health improvements within 24 months. Beyond the immediate physical benefits are the psycho-social benefits, in that walks are typically a social activity. Many forms of exercise are too strenuous or physically separating to stimulate or even support conversation, but walking is ideal for the interpersonal connections that it stimulates. Yet walking gets very little respect in the traditional fitness world. It may suffer because it does not require specialized equipment, costuming or training. It is not necessary to join a Walking Gym or be a Certified Walking Practitioner. We learned to walk early in life and maintain that capability well into our golden years. What keeps us from walking? Many times the social aspect of walking, although appealing, also is the limiting factor. Most people like to walk with others, yet social groups may not think of scheduling walking events. As a result, not a lot of walking gets done. Once a social group gets started with regular walking get-togethers, nothing short of a hurricane can break the schedule. Recently, a web site launched that is focused on coordinating this type of social fitness activity. WannaBuddy.com was created to help people find others who share their passion for healthy living and an active lifestyle. Many people have found walking buddies through WannaBuddy and are healthier because of it. While many people would benefit from walking three to five times a week, a lack of walking partners has kept them indoors. Now with WannaBuddy.com, there is no excuse. 1) Set a realistic goal. Sure, we would all love see our excess weight melt away like an ice cube on a hot griddle, but that’s probably not going to happen (nor is that healthy). Set a goal that is achievable, both in terms of how much weight will be lost and how long it will take. Don’t set yourself up for failure from the start. Deep down inside, you know if your goal is realistic. Don’t give yourself an excuse to quit by setting such high expectations that failure is waiting around the first corner. 2) Create reasons to celebrate. Don’t wait for that last pound to leave before you celebrate. Set intermediate milestones and give yourself a treat. Maybe a trip to the movies, or a massage, or that museum show you’ve been hearing about. These celebrations will reinforce your commitment and dramatically improve your ability to stay on course. 3) Find a diet buddy. Let’s face it, dieting is not fun. Saying no is never fun. Having a friend who is sharing your journey makes it easier to say no and harder to give up. With a diet buddy you have someone to share your milestone moments as well as those plateau periods. Through good times and bad, having someone with you makes the journey easier. 4) Mix it up. Don’t get stuck in a rut. Change your menus, change your exercise, change your scenery! All of the change will help distract you from the one constant: you are on a diet. Make every day something new and special to look forward to instead of just another day without treats. The anticipation will buoy your spirits and keep you smiling. 5) Believe in yourself. You are making a very positive change in your life. You have that power and no one can keep you from your goal. There’s no room for negative thoughts or doubts about your ultimate success. You know that you can do it, and so does your diet buddy. This is going to be great! These five keys are not magical, but adopting them can measurably increase your chance of success. Goals, celebrations, support, variety and self-confidence can help make you successful. Go for it! P.S. Don’t have a diet buddy? Check out WannaBuddy.com and find someone local who shares your commitment to a healthier future.